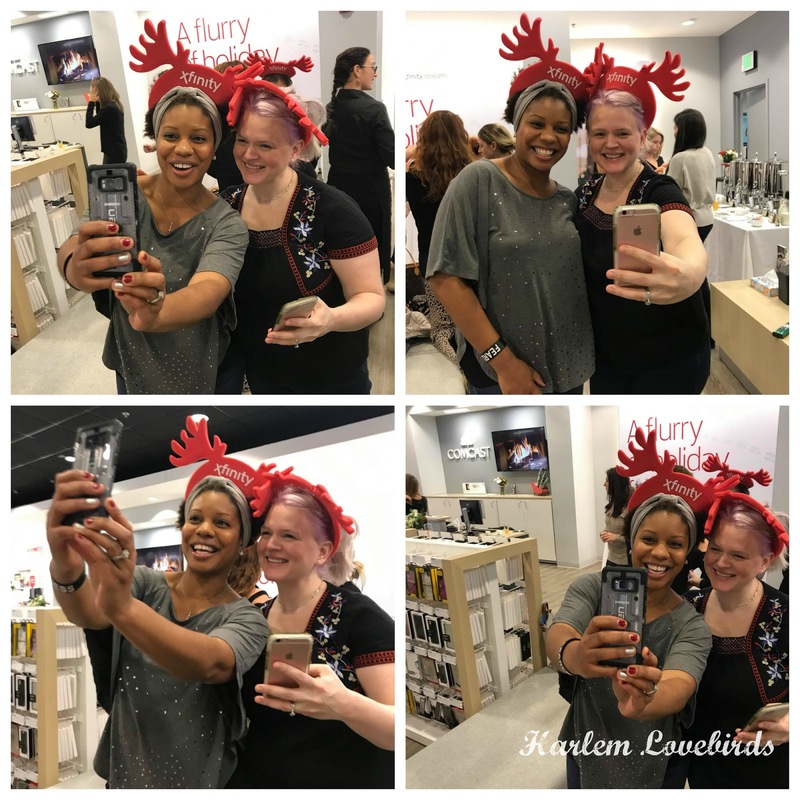 Harlem Lovebirds: Let the Holidays Begin with #XfinityMoms! 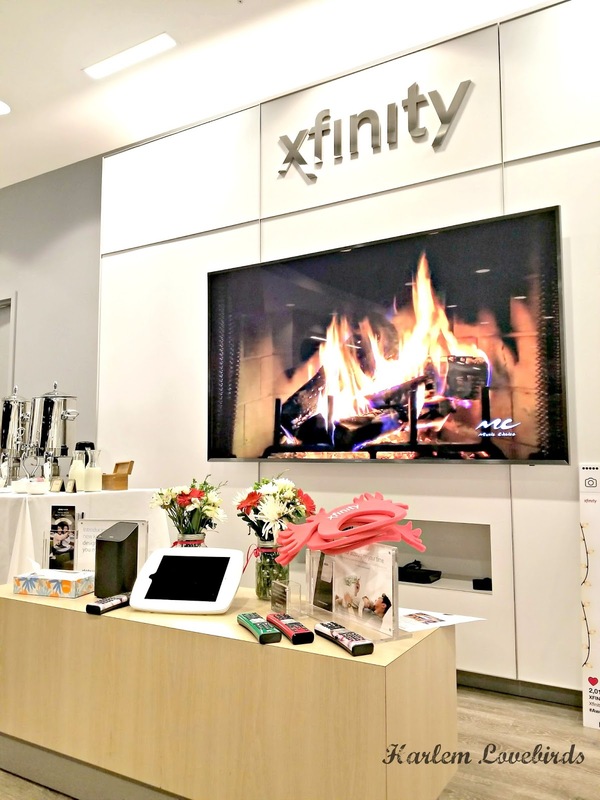 Let the Holidays Begin with #XfinityMoms! 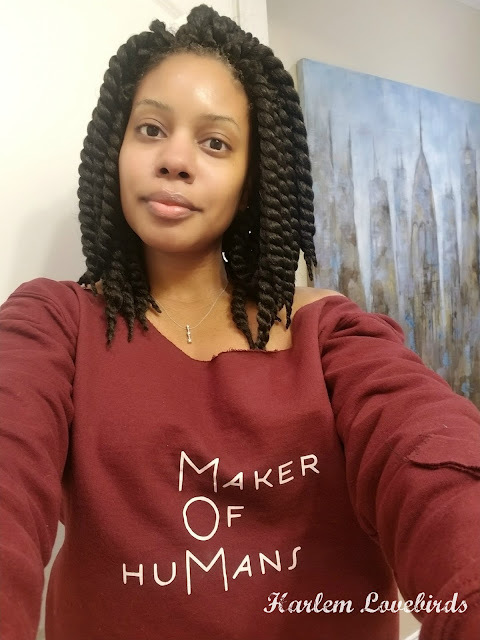 Disclosure: This is a sponsored post in partnership with Comcast; all opinions expressed are my own. What I love about being back in Boston is seeing how certain things have changed and that includes Comcast. 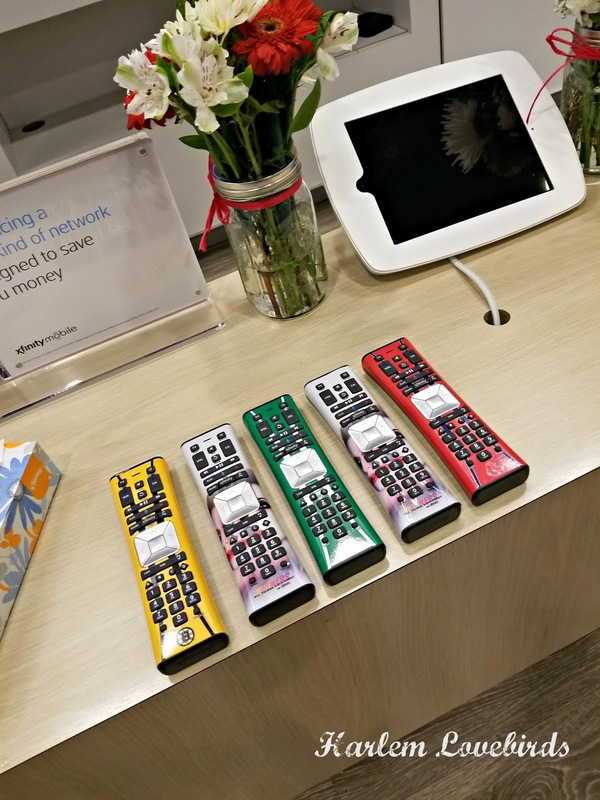 I've shared before how I was a Comcast customer in my single-hood days of living in Boston post-college, and once I moved to NYC it was so hard to get used to a different provider. Now back in Boston with Comcast I'm loving all the new updates especially now that I have a family. 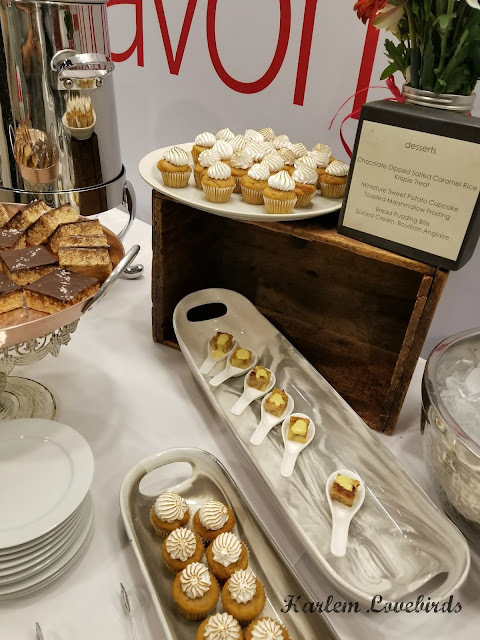 The holiday treats were so festive (and delish)! This season along with hosting so many guests comes managing internet usage, and Xfinity has you covered with their xFi app with a simple to use dashboard to see which devices are using your network, monitor usage and my personal favorite: the ability to pause the WiFi. YES! You can do that. We have the XFi Gateway in our home and I'm excited to use the Pods that were included in our goodie bags: they are discrete and stylish signal boosters you can place in strategic dead zones around your home. We have a couple unfinished spaces we'll be starting on in the new year and I know those will come in handy there. I was surprised to see all that's available in the Kids Zone via the X1 entertainment platform. My kids already love the Voice Remote and similar to other voice-activated devices becoming popular it's great at recognizing both my 3 and 7 year olds voices. Thanks to the tutorial during Moms' Night Out I came home and showed my kids the fun FREE games they can play on our console and surprisingly they're very conducive to taking turns. The kids loved it! One of our favorite things to do is stream music through the TV when we have guests over and the X1 platform also has iHeartRadio and YouTube newly added to make it even easier to do so. We're able to log right on using our existing usernames and I can even listen to radio stations from my hometown of Columbus, Ohio (if the kids don't make me turn to Kidz Bop). 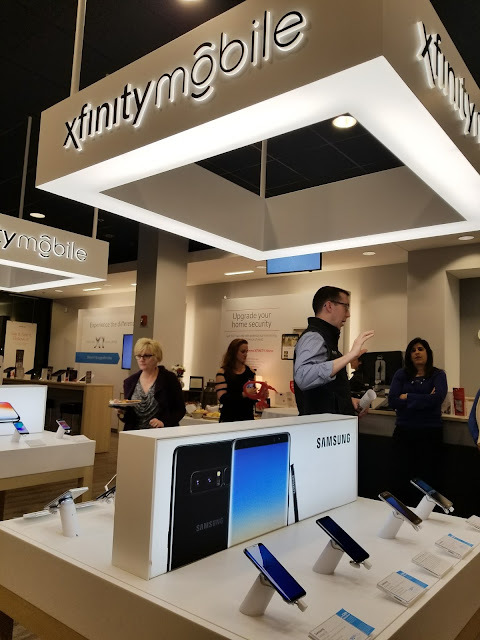 Also exciting news coming from Xfinity is Xfinity Mobile, the nation's first wireless service bring together the country's largest and most reliable 4GE LTE network with 18 million Xfinity WiFi hotspots. You can stream, access the hotspots away from home and allows you to "switch-and-save" so that you can go between being charged "By the Gig to "Unlimited" based on your needs. Safety is also a concern around the holidays and Xfinity Home is Comcast's home security, control and energy management platform that let's you monitor your home remotely. With all the travel ahead this brings such peace of mind! Beyond the Xfi app, Comcast also offers other Xfinity apps to manage your needs on the go: Stream allows you to watch your DVR remotely; Xfinity My Account lets you stay on top of your billing and Xfinity Connect give you access to Comcast.net email, call logs and call forwarding as well as an Universal Address Book. Xfinity really does cover all your wired basics and this holiday season we're enjoying their reliable service and options for entertainment. 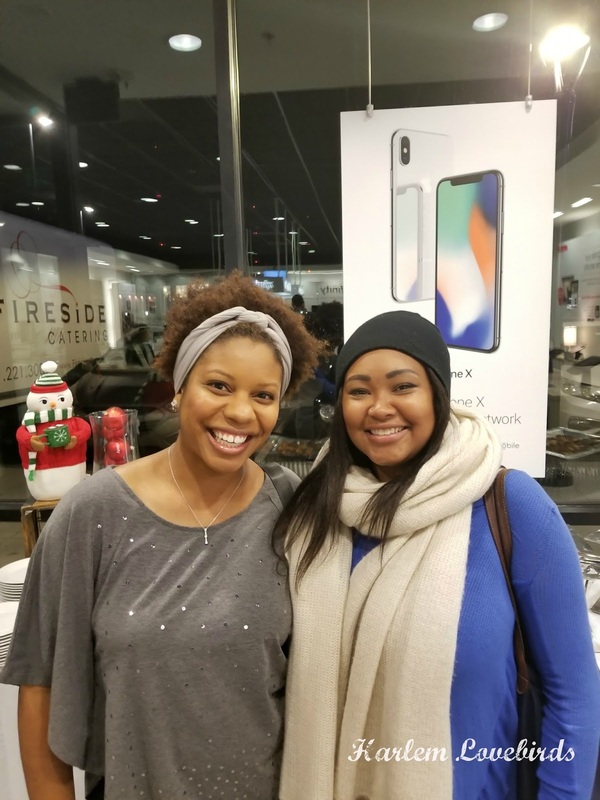 Thank you Xfinity and Comcast for a fun Moms' Night Out! 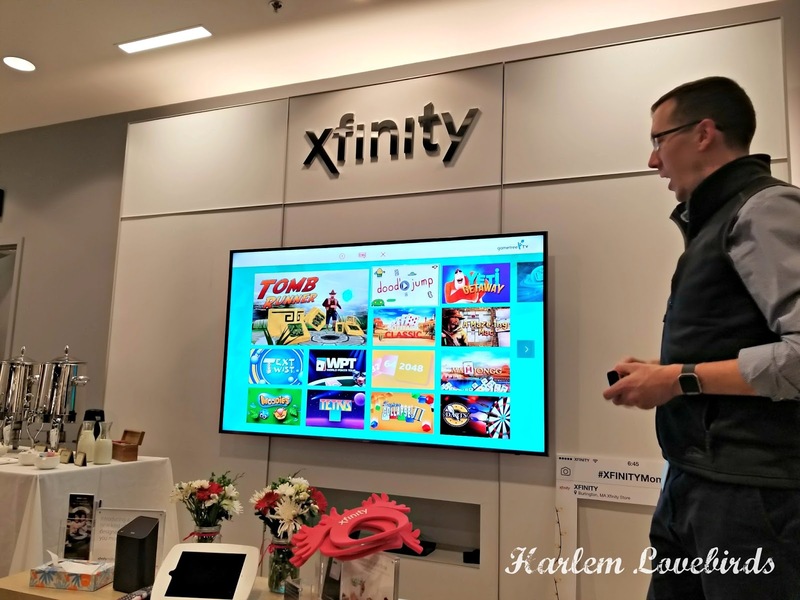 To learn more about Xfinity and all their amazing products and services head to their website.